Video Spotlight- What does it mean to be human? Video Spotlight - What does it mean to LEARN? Based in Houston, FLY Dance Company offers entertaining, clean-cut, fun concert performances as well as educational shows, workshops, and residencies available for booking locally, nationally, and internationally throughout the year. Entertainment is custom-made from FLY’s extensive repertory. FLY offers fun, fast-action, educational shows scripted and designed to deliver entertainment, knowledge, and important social messages to school-aged audiences. FLY’s performance style is called theatrical hip hop — “theatrical” in that acting is an essential element of the style. FLY’s performing repertory is varied musically and choreographically, and its dancers are skilled and highly adaptable. Performances can vary in length and cast size with performing fees adjusted accordingly. “Symphonic FLY” for performing arts presenters. The first two are available as full-length or mini-concerts and are adaptable for college student activities, and youth concerts. Special events are custom-made from FLY’s extensive repertory. FLY offers fun, fast-action, educational shows scripted and designed to deliver entertainment, knowledge, and important social messages to school-aged audiences. This is a new, expanded FLY Dance Company infused with the FLY Dance Company style and traditions from its 2000-2006 era. (See FLY History.) It is owned and operated by its core members Jorge Casco, Chris Cortez, Adam Quiroz, and Don Lee Rivera. 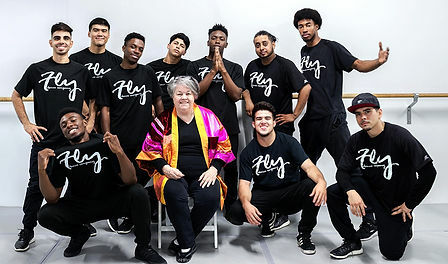 Kathy Musick Wood, FLY’s original creator and creator of the theatrical hip hop style, is back as Artistic Director and Choreographer and is adding new powerful concert pieces to the classic FLY repertory. My name is Leila Madanizadeh, and I am 14 years-old. I attended Wilchester Elementary from kindergarten to fifth grade, and Cornerstone Academy throughout middle school, meeting life-long friends, hardworking teachers, and altogether amazing people along the way. I will be going to Westchester Academy this coming school year, having many goals for the future. I have an unsustainable love for books, art, writing, poetry, history, and knowledge. I have also never been known to turn down an opportunity to express myself, so as of right now I dream of becoming a lawyer. That being said, I know the future isn't set in stone, so for right now I am just looking forward to my continued journey in SBISD. My name is Niloufar Madanizadeh, Nilou, for short, and I am an eccentric 14-year-old who is about to be a freshman at Westchester Academy after spending three awesome years at Cornerstone Academy, and 6 years at Wilchester Elementary School. I spend my spare time reading, writing, debating, and of course watching Netflix. I have a passion for poetry as well as a love for history. As for my future, I want to be a lawyer, but whoknows what the future will hold. All I know is that it will be something I love. Performing a traditional Mariachi song, La De La Mochila Azul. My name is Ivan Alvarado. I am a Fifth Grader at Buffalo Creek Elementary. The song I shared today was about something simple…a blue backpack. In reality, it’s not that simple. The blue backpack was a symbol of one boy’s inspiration…to strive for something more. My spark…by blue backpack…is my song. I share it with you to remind each of you to think about what inspires and sparks you. What inspires your students? How will you connect and share this spark…to kindle a flame…in your own heart and the heart of your students…for learning…for life? This is my song for you. Don’t forget your blue backpack. Patricia is a teacher at heart and has worked with children of many different backgrounds for 24 years. Her last 12 years were spent at The Bendwood School working in our district’s Gifted and Talented SPIRAL program. A recipient of numerous awards, most recently she was recognized by the Texas Medical Association as an Outstanding Science Educator in the State of Texas. She has been married 27 years and has four grown children who graduated with IB diplomas from Westchester Academy for International Studies. Performing the Star Spangled Banner. Mrs. Goodson is a former Spring Branch ISD educator. She taught at Wilchester Elementary, Bunker Hill Elementary and worked as the Administrative Intern at Memorial Drive Elementary. Mrs. Goodson is on the Board of Directors of the Spring Branch Education Foundation, where she has chaired the Run for the Arts event for two consecutive years. Mrs. Goodson and her husband Doug have two children, both attending Spring Branch ISD schools. "I serve on the Board because I am passionate about quality instruction and student achievement. I want our students engaged in a rigorous curriculum that will prepare them for graduation and post-secondary success." Performing The Man in the Mirror by Michael Jackson. DeCory is a 12-year old singing sensation and destined to make his mark as an entertainer. Currently, he is an 8th grader in the Spring Branch Independent School District, where he serves as a musical ambassador for his school. Known around the school for his great big smile and his passion for singing, this aspiring pop artist was honored as the most distinguished student at his school as a 6th grader. That same year he wowed the audience at the 2015 pop show with an amazing performance of Etta James’, “At Last”, leaving many attendees with the notion of, “A star is born”. This year he upped his game and jumped to the district level - being awarded the I AM SBISD, an award exemplifying Every Child, Collective Greatness, Collaborative Spirit, Limitless Curiosity and Moral Compass. So naturally, he decided to bring his A game at the 2016 Pop show, where he amazed onlookers with his rendition of Michael Jackson’s Billie Jean. This electrifying singer, dancer, and pianist is no stranger to the stage. At the tender age of 4-years old, while singing a solo in church one Sunday morning, his vocal talents were discovered. Shortly after discovering his gift of song, the 4-year old saw his idol, Michael Jackson on television, and knew at that moment that he wanted to pursue a career in music. DeCory’s been making his mark ever since. Although small in stature, this little energetic fireball has a very big voice with a very giving spirit. DeCory’s plan is to share his gifts with the world. He wants to inspire others to find their greatness so they can reach their dreams. His goal is just as big as his voice - he wants to become the world’s best entertainer. Judging from the responses of the various venues he’s performed at, DeCory is well on his way to a great start. For now, he is just a little kid with a big voice, a big smile, with big dreams. Dr. Muri's vision for his role as Superintendent is to ensure that every single student in Spring Branch is learning every single day. His collaborative leadership style will help the system move forward. Imani Lei Davenport will be attending Spring Woods High School as a 9th grader for the 2016-17 school year. - Superior ratings in Solo and Ensemble. Her aspirations are to focus on education and music. Her goal is to go to Julliard School of Music and major in vocal performance. Her ultimate dream is to become a triple threat. Modeling, Acting, and Singing. 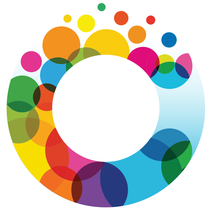 AlphaGraphics is a locally owned and operated, full-service printing and marketing communications company. The team at AlphaGraphics are wonderful partners to SBISD, always providing excellent quality and exceptional customer service for the multitude of jobs we send their way. Blue Willow is a neighborhood bookshop that has long been a partner to and supporter of SBISD. They were one of our original Good Neighbor partners and have continued to earn that designation every year since the program began. Participated as a Reflections judge for Wilchester Elementary, Spring Forest Middle, and Stratford. Thank you, Blue Willow Bookshop! Chick-fil-A at Memorial City Mall is a long-time, generous and dedicated partner to SBISD. Thank you, Chick-fil-A Memorial City! First Community Credit Union was one of SBISD's first community partners. Throughout the years, they have consistently given their time, talent and treasure to support SBISD. Thank you, First Community Credit Union! Thank you, J. Carter Breed! preparing all students with the qualifications and skills necessary to enter college or post secondary training and exit successfully.